Home \ Coolers \ Watching Koi Fish farming feels a breath of fresh air! Have you heard of Koi? ‘Japan’ – the crowded nation is much more than people think of it . The country of rich culture and lush green surroundings is widely recognized for breeding some of the most exotic fish , Koi , popularly known as ‘Nishikoi’- living jewels. To experience what it is like to buy Koi in Japan , Sacramento takes us on a personalized trip to Japan to buy Koi. 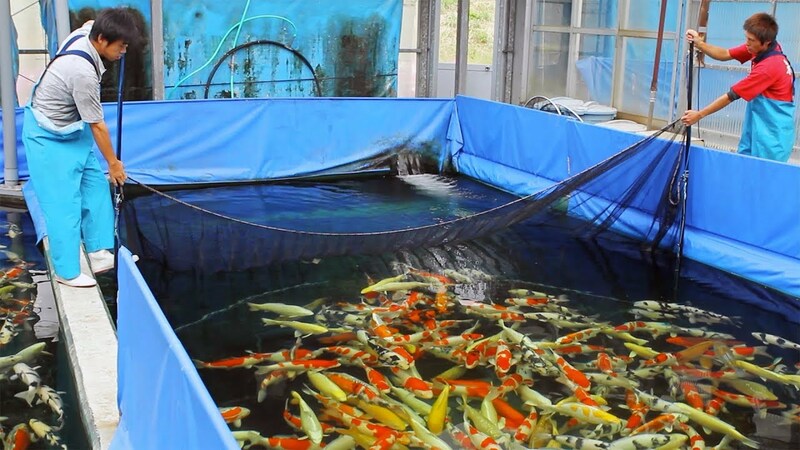 The five day trip to Japan , revolved around visit to various farms , exploring the different species of Koi , enjoying different food cuisines and getting an insight into how the Koi business operates . Experiencing the seining of mud pond on the last day undoubtedly proved to be an icing on the entire trip. Well, exploring different farms , seeing such wide variety of fish , the sheer motive of the visit could not have been any better.